We have been decluttering, and throwing away lots of stuff that in theory is marginally useful, but had not been touched in many years. Most of this stuff isn't making it to trash day-people go though it and take useful stuff, or the metal for recycling. I'm fine with that, I would much rather see it go to some use than to have it go to landfill and so far they aren't leaving a mess behind. I question the economics of some of the pickers though--Do you really make more in scrap than the gas you spend collecting it? Especially when you leave your van running as you dig. The strangest is that apparently some people are going around cutting the cords off any electrical appliances, and only taking the cord. I don't see how that can possibly be worthwhile. I've learned to cook cheap steak and have it turn out tasty. 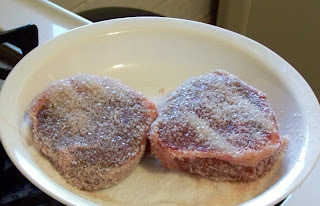 The secret is letting the steak warm up to room temperature with a heavy, heavy crust of coarse Kosher salt--basically as much salt as will stick. When it is time to cook the steak, thoroughly rinse the salt off under running water, and dry the steak with a towel. Don't overcook, use a meat thermometer. The steak winds up more tender than otherwise, and lightly salted throughout. Don't even try this with table salt-I did once a few years ago, and the result was extremely salty and almost inedible. Dyson makes interesting products. I haven't used their vacuums, but from both testimony of people who have, and the number of people copying them, they appear to be excellent. ...but it is $300. For a portable fan. Yesterday we ate out on the deck. The trees have filled in, so there is plenty of shade--we didn't bother putting the umbrella up, forgetting that the primary purpose isn't to keep the sun off us. Suddenly, I felt water...seemed odd, it was not cloudy enough for rain, and it would be surprising for that much rain to get through the trees that fast. Oralia asked "Is it raining?" LeDoux is a Cajun restaraunt north of Troy, Ohio in an odd location--they have a corner of what I think is a medical office building near the hospital. Decor is OK but looks like it was ordered from a Restaurant Decor catalog. I've eaten at LeDoux twice. The first time was very good--I don't remember what my dish was called but it was some sort of pork with a spicy sauce over rice, and a cup of gumbo as a side. That meal was good enough that when my Dad offered to take me out for lunch, I opted for Ledoux again instead of my favorite, La Fiesta. Unfortunately this time wasn't good. I can't entirely blame them for the Swamp Trash appetizer--it had Alligator and Crawfish, and since I've never had either one it may be that I just don't like them. However I had a main dish of Jambalaya with chicken and sausage. The sausage was OK, but all of the chicken had an off flavor that reminded me of chicken skin accidentally left in homemade soup. All my dishes had a flavor of old fry grease that needs to be changed, including the dirty rice side dish. I had half a Boudin Ball from someone else's appetizer--Much better than my dishes, but didn't have enough to judge thoroughly. LeDoux may be authentic, I wouldn't know. I prefer Zatarains mixes from the grocery. 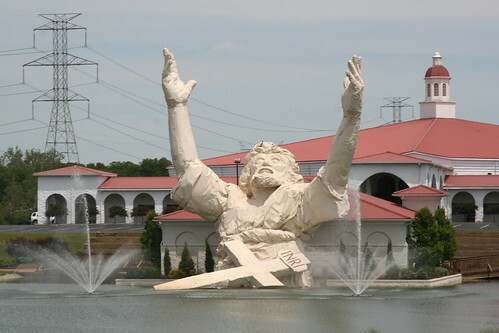 A huge statue of the upper half of Jesus, rising out of the water, located on I-75 between Dayton and Cincinnati. Monday night, lightening struck Touchdown Jesus, set him on fire and burned him to the ground, leaving only the metal framework. The church is already planning to rebuild. How can you believe in Jesus, but not believe that the ligtening wasn't a sign that this isn't a good idea? It's finally time to put the air conditioners in. Somehow being married caused this to lead to the cleaning of uninvolved windows. 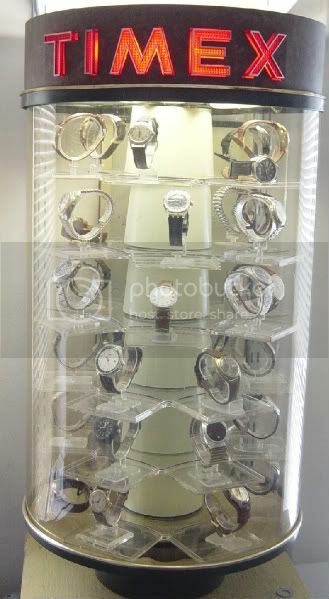 We have modern tip-in windows, but there's a shelf to hold my watch display that makes it hard to get to one of them--it was easier to completely remove the window sashes. Since the window was out, it seemed like a good time to get rid of the branches on the porch roof below the window....and while I was there, clean the stain on the siding in that corner. While doing that I noticed the sticks in the gutter above. I could reach them by standing on the windowsill, but I wasn't balanced well enough to remove them without falling off the roof. I got the folding ladder/scaffolding and set it up half inside, half on the roof. Turns out that the sticks in the gutter above were growing and had roots, and the gutter was quite full of leaves and muck. After emptying the gutter, I found I had splashed the siding with muck, and there was leaf muck all over the porch roof. Off to retrieve the hose, and some rope. Tossed the rope down and used it to raise the hose up--only to find that the nozzle on that hose was leaky,and sprayed more water out the sides than the front. Finally got the muck rinsed off the siding and the roof. Went to put the window back in, and discovered that while it will come out easily with the shelf in place, getting it back in was harder. I wound up having to take the shelf down anyhow. I've done some investigation on leather sewing machines, and everyone I have talked to recommended the Tippmann Boss as the best entry-level leather sewing machine. 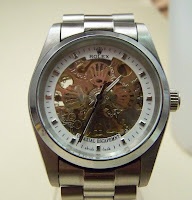 They are currently on sale from the factory at just about what used ones are selling for on Ebay. Based on the same recommendations, we drove to Fort Wayne rather than having one shipped, so I could see how these work. I talked to one of the techs who assembles and repairs Boss stitchers, and he showed me how to set up and use the machine. He recommended a thinner foot and a 10 pack of needles, both of which were thrown in for free. Being out of state, I also avoided sales tax. He also said that he grinds the front of the thin foot off for better visibility, and he can get within 1/8 inch of an edge or raised section. I threw together a horse out of scrap lumber from a 20 year old waterbed frame and mounted the stitcher. I plan to modify this horse a bit to make it fold, but for 45 minutes work out of scraps, it works fine. The Boss is a completely manual machine. Stitching is done by pulling an arm similar to a slot machine, once per stitch. The arm has a handle like a bike brake lever to lift the presser foot. 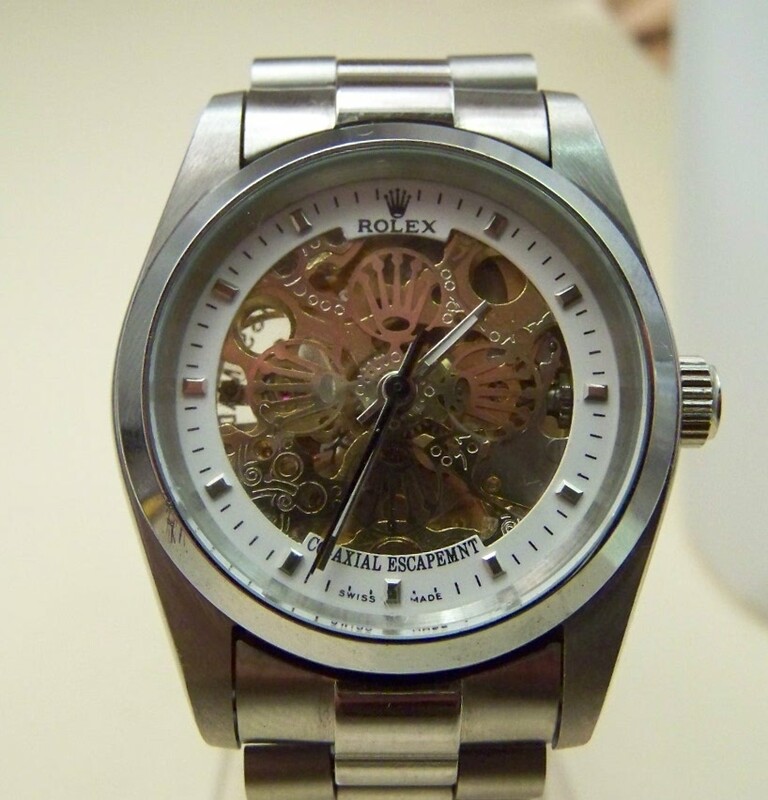 Stitch width, foot pressure and thread tension are all adjustable. I practiced on some scrap leather, and quickly figured out how to get decent results. I then stitched a holster I'd started to hand sew and abandoned. Even though I had to carefully monitor the stitch placement because this holster had some of its holes pre-drilled, it was still incredibly fast compared to hand stitching. Back stitching can be done by either turning the material or by lifting the presser foot and manually aligning the needle for each stitch. You want to backstitch on both ends of your line--the beginning is best done by reversing, so the holes are properly spaced. I'm nearly certain that I'm going to be very happy with this stitcher.